The story of Shadrach, Meshach and Abednego is forever captured in the Book of Daniel as an example of unshakable faith, even in the face of certain death. I’m writing to you today because Christians in Pakistan and around the world are living under similar pressure . At any moment, they could be accused of blasphemy and what little freedom they have could be stripped away. One wrong word could incite a violent attack, or lead to arrest or even death. So pray for salvation for Pakistan. Pray that God bless us with anointed senators, leaders, religious scholars, pastors, evangelists who will lead the Pakistan in righteousness. During the month of October 2018. 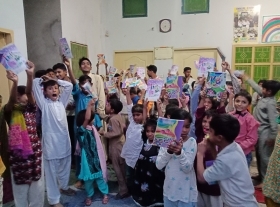 We share the Word of God with 350 Christian male, female and children. We serve the 130 children with foods, school stationary in our Least of These Center and 120 children in our St, James Primary School. We visit the brick kiln yard factory and share the Word of God with our least of these brethren. They can not earn enough that they can give three time meal to their children and family. So they earn little and feed their children two time in a day and some time one time in a day. 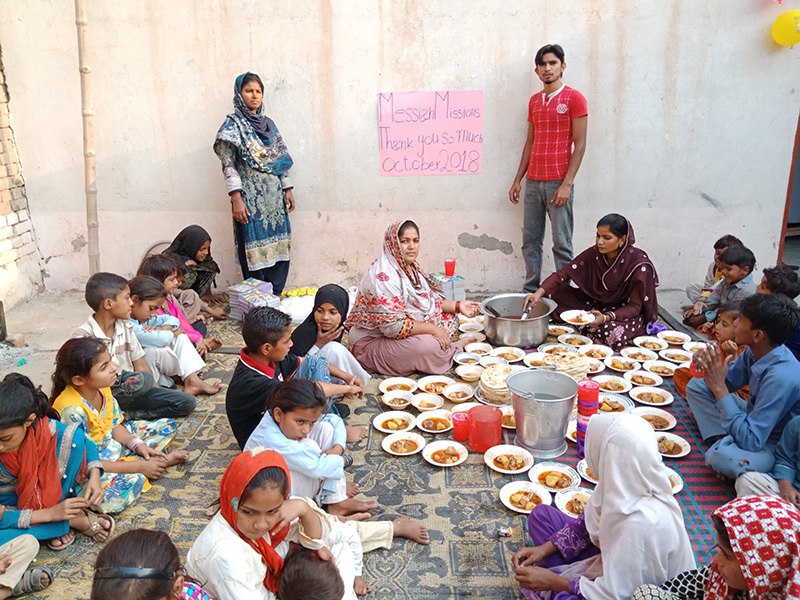 We serve them with five food package to five Christian families as God provide us. We thankful to our Almighty God. 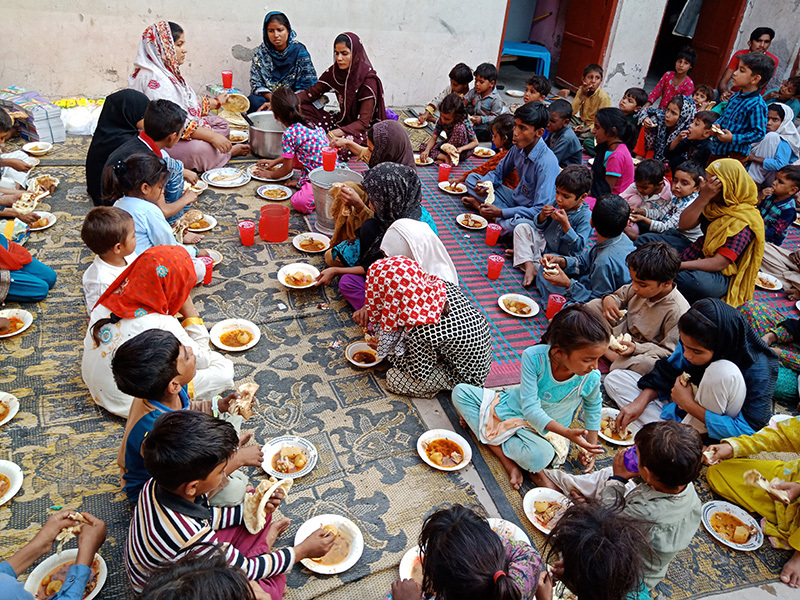 Pray for our missions to serve the Pakistani nations. We organize 14 prayers meetings. An each prayer meeting was held in Christian home. We Christian have not Church in every town, so we gather in one Christian home and Praise our God. During this month, we organize 14 prayers meetings and almost 350 members attend our prayers meetings. We Praise our God together. We singing Psalms, Praise songs and read from the Bible. We thankful to God that God has blessed us with 30 new group members. We are singing and tought to our brethren Chrsitmas Praise songs. 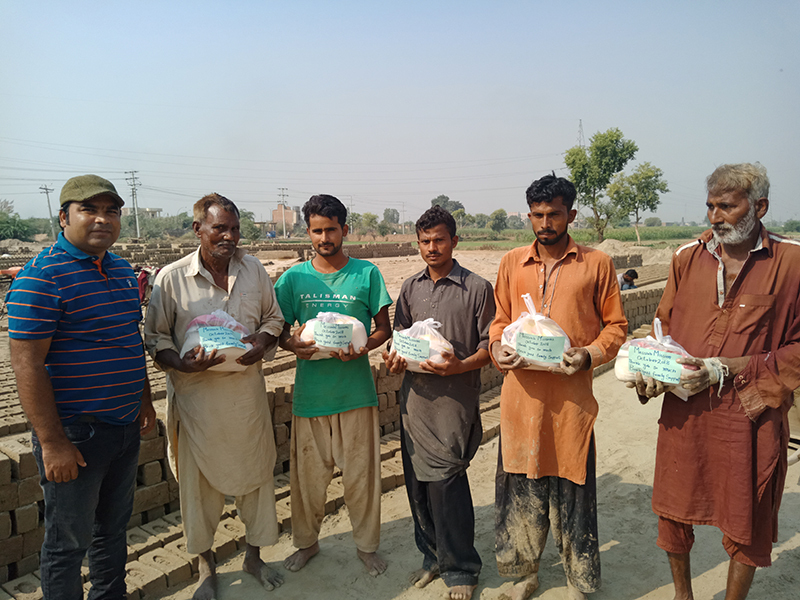 The Christian families from Brick Yard kiln are very happy that we visit them and organize four prayers meetings with them, “We are blessed that we have received Lord Jesus Christ as our SAVIOR” said the Brick Kiln family member. We share the good news with them from the Book of Matthew and share the GREATEST good news that Lord Jesus Christ born in Earth in 25 December. We are ready to welcome Him because it is His birth season. We are singing songs that are related to Christmas season. God has blessed us with five food package. So we give our five small food package to our five Christian brick yard families. They are so excited to received this gift and said thank you so much. “Thank you so much for your love gift, I bite the food and thankful to friend, who provide the food. I ask God to fill my belly with food and lets see how God feed my belly by guide you to sponsor me,” said a kid from Least of These Center. 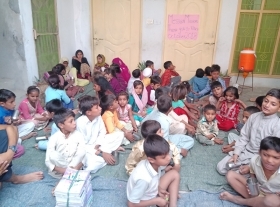 We share the word of God with our 130 children in Least of These Center. They are blessed that God is guiding them to listen the Word of God and follow the Word of God. We serve the 130 children with foods, school stationary. They are blessed with your love give. 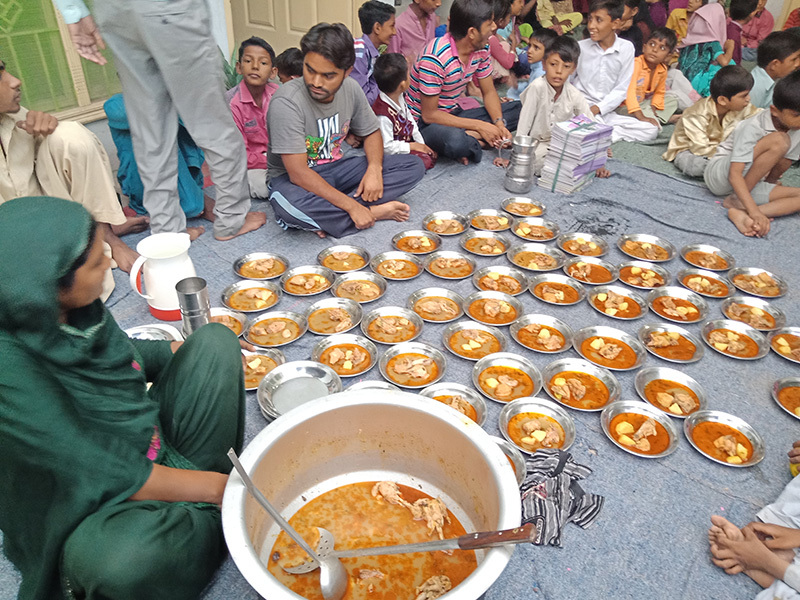 “Thank you so much for your great love, prayers and continue sponsor us for the feeding, school stationary, school uniforms,” said the school kid. We are thankful to your great sponsorship to feed our 120 children in our Saint James Primary School. We serve them with foods, school stationary and formal education. They are blessed by your prayers and love. We are in mid terms exams in formal education. 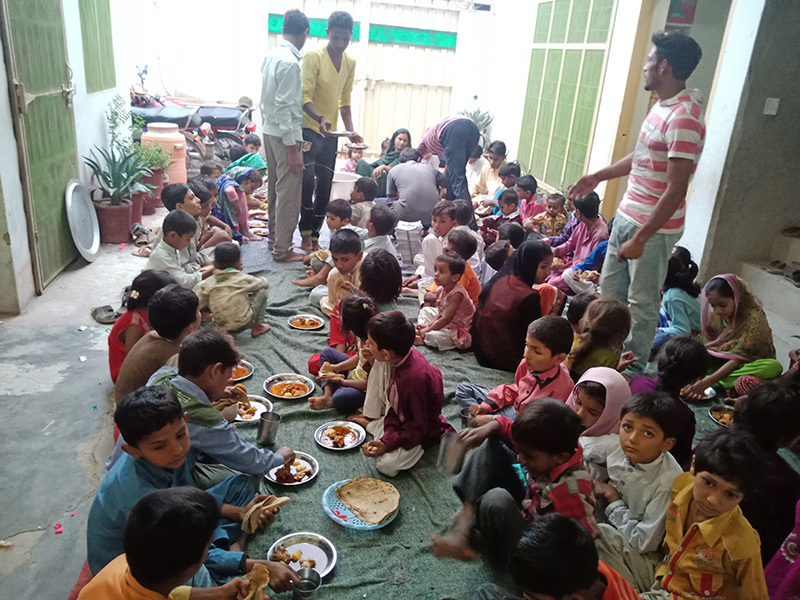 We serve 70 children in our Sunday School. We have two Sunday school. One is from St, James Primary School and two is from Least of These Center. In Sunday School, we learn, how to pray during this month. How we serve our God and ask in Jesus name. We organize two The Bible Evening Class. One is in St, James Primary School and another is in Least of These Center. We serve 180 children in our Bible evening class. We read from Bible and share the good news with our children, elder and adult. We learn the Christmas singing songs.